With the advent of more aggressive pat-downs, some travelers are cutting back on air travel or avoiding it altogether. Here, a Transportation Security Administration officer checks out a man Nov. 24 at the Minneapolis-St. Paul International Airport in Bloomington, Minn. But now that the Transportation Security Administration has introduced full-body scanners at many American airports and subjected those who opt out of the machines to an enhanced pat-down, the 2011 outlook has changed, say travelers. A majority (46 percent) say they will travel about the same as they did this year. Slightly less than a third (30 percent) will travel more, while just less than a quarter (23 percent) will travel less. This contradicts several earlier surveys, which had predicted a significant upswing in travel next year. With the new TSA rules, I will probably do less travel in the U.S., says Kathy Wilhelm, a retired software engineer from Cary, N.C.
We need to hear ideas and experiences from travelers to better inform our discussions with policymakers and build a screening process that maximizes security while minimizing the burden on travelers, says Roger Dow, U.S. Travels president. The government says screenings and pat-downs are necessary for most air travelers, and that it will not back down. And thats making some travelers turn down the opportunity to travel in 2011. But the poll results could be interpreted in a different way. Its possible that the old 2011 travel forecasts simply were too optimistic and that travelers would have pulled back anyway, with or without the TSAs help. 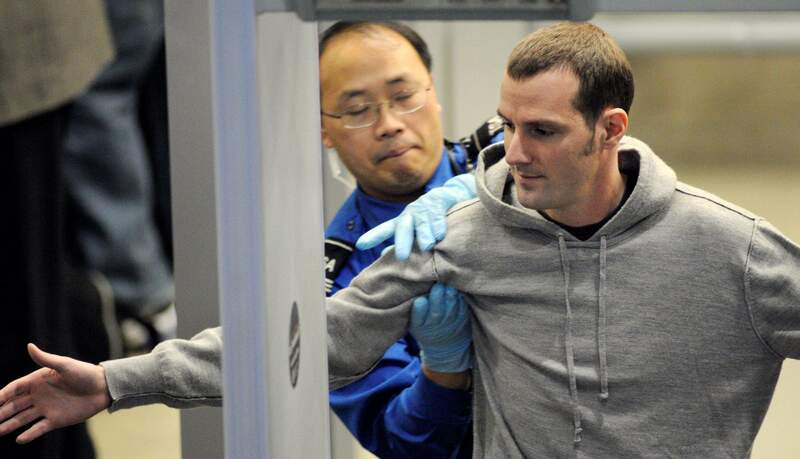 Some travelers say security screenings arent a factor at all. Monica Lynn Kennedy, a sales manager in Stafford, Va., is brushing off TSA troubles and intends to travel more next year. Shes planning to visit Orlando for a theme park vacation, a cruise on the new Disney Dream, and a visit to Floridas Space Coast. She plans to fly at least once, when she catches the cruise. Its only a 13-hour drive to Orlando, she says. Travelers say they dont want to give up their long-anticipated 2011 vacations, which theyve postponed for several years because of the economy. So while some are sticking to their current plans  for now, at least  theyre doing their best to work around the system. Liz Zollner, a college instructor from Tampa, plans to leave the country for her one and only vacation (just like last year, she says). That way, shell limit her exposure to the TSA. We could go more, but we just wont, she says, adding that maybe the TSA really wants people to fly less.